I wish had sufficient historical data to know when the trend began. All I know is that every year for the past quarter century, assimilation rates in American congregations have been poor. For example, in the largest Protestant denomination in America, the Southern Baptist Convention, the reported membership is over 16 million. The realistic membership is around 12 million, and the average weekly attendance is 7 million. So the largest denomination cannot account for four million of its members. Less than half of the members attend on a given week. And millions more have been lost who are no longer on the membership rolls. And that’s the report of just one denomination. Of course, aggregate numbers of denominations are nothing more than the sum of the local congregations. 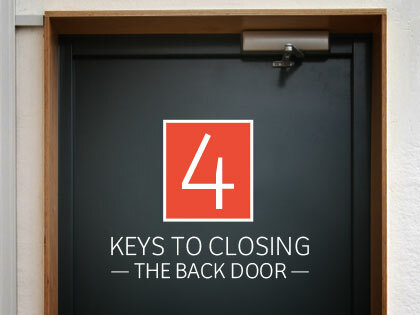 The problem of the open back door is endemic to hundreds of thousands of churches. In our research of thousands of churches, we have found four common characteristics of congregations that have effective assimilation by almost any metric. But these churches that have effectively closed the back door are few in number, suggesting that the solution is easier said than done. Look at the four keys to effective assimilation. They are obviously not mutually exclusive. Key #1: Membership high expectations. More is expected of members in high assimilation churches. Church discipline is more likely to be exercised in these churches as well. These churches typically have required entry point or membership classes. Becoming a part of these congregations is more than completing a card or walking an aisle. Members are expected to be involved and stay involved. Key #2: Small group involvement. A concerted effort is made to get members and attendees involved in small groups. The form of the group may be a Sunday school class, a home group, or a small group meeting elsewhere. The key is to get people connected to others, typically in weekly groups. The majority of small groups study the Bible or biblically related material. Key #3: Ministry/missons involvement. High assimilation churches encourage people to be involved in ministry. A few even require ministry involvement prior to accepting someone into membership. Members who are involved in missions and ministry feel connected to the church. The Millennial generation, those born between 1980 and 2000, will not likely stay with a church at all if they are not involved in the ministries and missions of the church. Key #4: Relational connections. In any organization, people stay connected more to other people than the organization itself. We are relational creatures. Local congregations are no exceptions. People are more likely to stay connected to the church if they have developed meaningful friendships and relationships with others in the church. 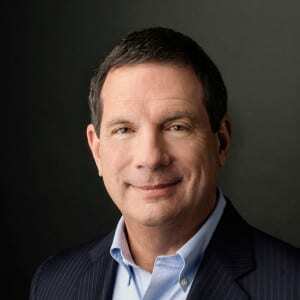 Thom S. Rainer is the president and CEO of LifeWay Christian Resources (LifeWay.com). He was founding dean of the Billy Graham School of Missions, Evangelism, and Church Growth at The Southern Baptist Theological Seminary. His many books include "Surprising Insights from the Unchurched," "The Unexpected Journey," and "Breakout Churches."